Tigers are a symbol for Asia. Tigers come only from Asia and all across Asia, ranging from the Persian highlands all the way through India, China, Japan, Malaysia and the Pacific Islands. Rapid industrialization however pushed tigers to the brink of extinction. Within a century, wild tiger population fell 97% from 100,000 to as few as 3,200. As an apex species, tigers need a healthy overall habitat to thrive. Revitalizing tigers is revitalizing the Asian ecologies, an ecosystem wide approach, from industry, agriculture, deforestation, to climate change is crucial. Tigers are also becoming a symbol for sustainability and a collaborative Asia. In 2010, leaders in Asia and the world came together to set an ambitious and ground-breaking goal to #doubletigers in the wild by 2022, the next “year of the tiger”. Tx2 is a vision shared by tiger range countries (China, India, Malaysia, Indonesia, Thailand, Cambodia, Vietnam, Nepal, Laos, Bhutan, Bangladesh, Myanmar and Russia) and a pledge for positive coexistence between humanity and the wildlife ecology, regenerative sustainability to rejuvenate wild tiger population without compromising economic growth. 100 years ago there were 100,000 tigers in the wild, today there are as few as 3,200. Tigers will not get this chance again. Global Tiger Forum (GTF) is an Inter-Governmental body with a mission to highlight the rationale for tiger preservation and provide leadership and common approach throughout the world in order to safeguard the survival of the tiger, its prey and its habitat. World Wide Fund for Nature (WWF) has a mission to build a future in which people live in harmony with nature. As the world’s leading independent conservation body, WWF strives to safeguard the natural world, helping people live more sustainably and take action against climate change. In 2010, the 13 tiger range countries committed to Tx2 — to double wild tiger numbers by 2022, the next Year of the Tiger. WWF is driving Tx2 forward. While many people find tigers remote, unknowingly, the Internet we use everyday is having a direct impact on wildlife and the environment. Proliferation of illegal wildlife trade online, coupled with abusive mining of social media data for criminal poaching and deforestation activities are threatening the survival of tigers and other wildlife. The convenience of shopping online for illegal wildlife (for “parts” or for pets) further challenges enforcement. cybercrimes responsibly while upholding the free and open spirit of the Internet. Internet technologies can also be deployed to support the restoration of wildlife ecologies. Wireless connectivity support rangers in the frontline, integrated systems strengthen analytics, and together technologies can enhance decisions and cooperation among multi-stakeholders. As with other online problems which cross borders, combating online trade in illegal products requires cooperation among many parties, who cannot act effectively alone. Tigers roam freely across borders. To achieve the Tx2 goal will require cross-jurisdiction multi-stakeholder collaboration across Asia and beyond. Ajitora represents the focal point of a multidimensional approach to support Asia tigers, bringing together stakeholders contributing to technologies, policies and public awareness. Ajitora (http://www.ajitora.asia) is a PR character of DotAsia. 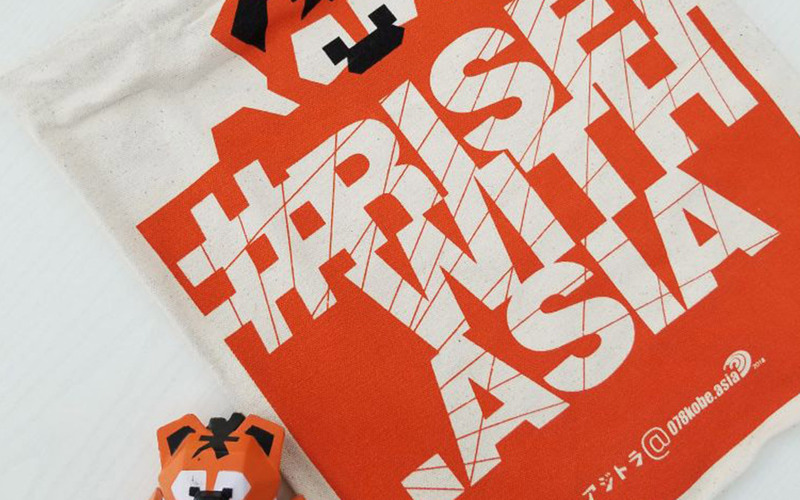 Inspired by tigers’ symbolic meanings for sustainable development and a collaborative Asia, the Ajitora movement is not only about tigers, but about bringing awareness of how we are all connected. Ajitora’s mission is to promote regenerative sustainability between the ecology, the economy and the Internet for Asia. As the Asian Tiger (and Tiger Cub) Economies roar forward in the Asia Century ahead, Asia’s wildlife, technology and policy environments should #RoarForward Together! Ajitora is about regenerative sustainability as a movement in environment and economic development beyond conservation (reduce, reuse, recycle), towards a constructive (restore, renew, revitalize) paradigm. The Ajitora spirit is about positive change through collaboration. Ajitora invites you to be part of the movement! The copyrights of the Ajitora image and designs are released in a CreativeCommons Plus (CC+) license. Derivative works are encouraged. Get involved! Technology – Internet technologies to support rangers & frontline conservation efforts, e.g. WiFi Mesh Networking, Geographical Info-Systems, big data analytics, etc. Policy – Internet governance policies to tackle illegal wildlife trade online and guidelines to encourage corporate best practices friendly to tigers and wildlife. Awareness – Mass market awareness through advocacy, events and cross-over activities with consumer brands, media, characters and social networks. Youth – Engagement activities targeted to young minds, especially senior high-school and university students as well as young professionals on policy and outreach. Education – Development of informational materials and activity toolkits for programs ranging from kindergarten, primary, secondary, university, corporate, to public events. Ajitora (“Aji”) is a tiger born from the Internet Root. Zapped into life when the Himalayas was connected by WiFi, Ajitora is a cheerful, energetic and curious tiger on a never-ending journey to meet new friends. “Tora” also means “tiger” in Japan, where tigers used to roam a long time ago. “Aji” is also popular name in Asian cultures and an alternate or shortform for “Asia” or “Ajia”. Together “aji”+”tora” represents both “King of the Cyber Jungle” as well as “Asia Tiger”. DotAsia is a registered not-for-profit charitable organization (DotAsia Foundation: IRD 91/12820) with a mandate to promote Internet development and adoption in Asia. 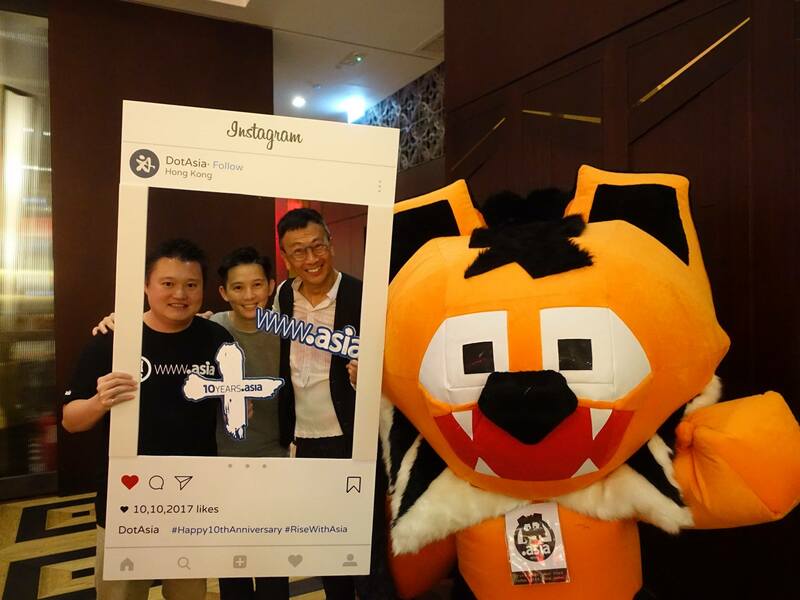 DotAsia operates the “.Asia” TLD (top-level-domain) for the global Internet infrastructure and is formed with a membership of official country-code top-level-domain ( ccTLD ) authorities e.g. (.CN, .JP, .KR, .IN, .PH, etc. ) and Regional Internet bodies ( e.g. APNIC, APTLD, APNG, etc. ) in Asia. DotAsia’s scope. Tigers come only from and all across Asia. DotAsia’s mission for a sustainable Internet. DotAsia’s vision for a collaborative Asia. 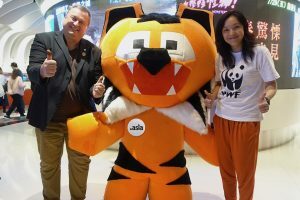 Ajitora.Asia is a platform under DotAsia Foundation (IRD 91/12820) that aims to support tiger conservation and to promote regenerative sustainability between the ecology, the economy and the Internet for Asia.